The Fraser Health Authority (FHA), British Columbia's largest and fastest growing health region located in Metro Vancouver and the Fraser Valley, is seeking energetic and dedicated Pediatricians. The FHA serves in excess of 2 million people through 12 hospitals which include both primary care community hospitals as well as UBC affiliated tertiary referral settings. Abbotsford Regional Hospital & Cancer Centre is a 272 bed, University of British Columbia affiliated hospital offering medical, surgical, obstetrics, inpatient pediatrics, renal, cardiology, tertiary palliative care, helipad, as well as 24/7 emergency services with 79,289 visits annually. Chilliwack General Hospital provides an innovative model of pediatric service delivery customized to meet the unique needs of this charming Fraser Valley community. The current physician group is committed to developing a holistic multidisciplinary all-inclusive pediatric service to our diverse population (rather than just an acute service with physicians working in individual offices). A pediatrician with an interest in contributing to and extending this exciting development of a patient centered community service is preferred. Applications from new graduates would be welcome and mentoring over two years would be provided to those applicants. Chilliwack General Hospital is a 131 bed, University of BC affiliated community hospital offering medical, surgical, obstetrics, psychiatry, and a regional eye centre, as well as 24/7 emergency services with 60,585 visits annually. Langley Memorial Hospital is a community hospital with 192 acute beds offering medical, surgical, obstetrics, pediatrics, psychiatry, critical care, ambulatory care as well as 24/7 emergency services with 47,640 visits annually. Peace Arch Hospital is a 171-bed hospital in White Rock, BC, offering medical, surgical, acute geriatric, obstetrics, palliative, psychiatric and telemetry services as well as 24/7 emergency services with after-hours emergency surgery with 53,136 visits annually. Applicants must have their FRCPC or be FRCPC eligible and be eligible for licensure with the College of Physicians and Surgeons of B.C. 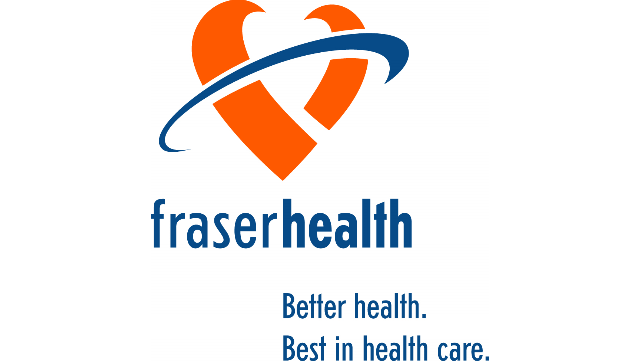 Fraser Health is willing to sponsor eligible candidates. To apply, email your CV to: physicianrecruitment@fraserhealth.ca.